Backed by proprietary Swiss sensor technology and materials, the LabSen 231 Combination pH Electrode is ideal for testing emulsion, suspension, wastewater, and samples containing protein and sulfide. Its 2-pore double junction structure and solid electrolyte make it hard to be contaminated and highly resistant to compression. Long-Life Reference System - The LabSen 231 pH electrode adopts a long-life reference system, which is composed of a glass tube, AgCl and a reference silver wire. The top end of the slim glass tube is stuffed with cotton, which prevents the reaction between AgCl and electrolyte when the temperature changes. It improves the stability of reference electrode and extends the service life of the electrode. Polymer Electrolyte - The polymer electrolyte is in direct contact with test samples. The anti-pressure capacity can reach up to 6 bars, making it ideal for testing suspension and wastewater. 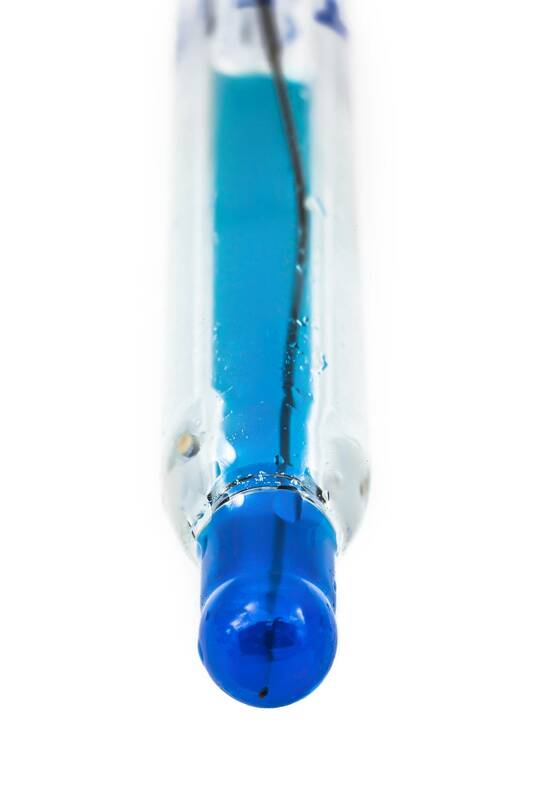 Special Glass Membrane - The LabSen 231 pH electrode adopts a hemispherical glass membrane, which is highly resistant to general impact (the traditional glass bulb membrane is a lot more fragile), and can be tested in high-temperature samples (up to 176°F).